Hi, my name is Amy Blades and I am the Owner of Goofy Getaways. I have a passion for Disney and love to share it with all of my clients. My service are FREE of charge and they include booking your trip, setting up your My Disney Experince account, helping choose magic band colors, scheduling dining reservations, itinerary planning, price monitoring your vacation to be sure you get the best deal and tips to help make your vacation stress free. My husband and I have 3 boys who are definitely more like pirates than princes. 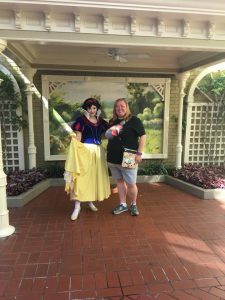 We travel to Disney several times a year so I can stay up to date on all Disney has to offer, we have stayed at every resort so I can give first hand experience when helping clients choose their resort. I have also eaten at almost every restaurant on property so that I can make the best suggestions for your taste buds! 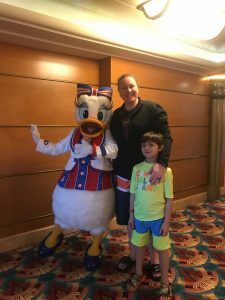 Sailing on the Disney Cruise Line is a favorite thing for our entire family! I love owning Goofy Getaways and I love planning vacations, choosing me as your travel specialist and referring me to your friends and family is such as an honor. Goofy Getaways is definitely an incredible blessing! or call me at 1-800-397-4674! I look forward to planning your magical vacation whether it’s your first or 50th! 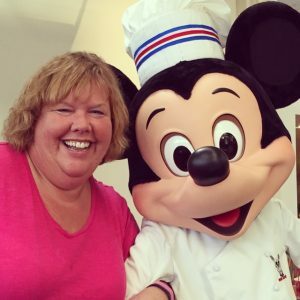 Hi, I’m Cindy and I love being a travel consultant with Goofy Getaways. My love for Disney started many, many years ago and I’m excited to share that I’ve been to Walt Disney World more than 25 times, Disneyland 3 times, Disney Cruise Line 12 times and enjoyed a stay at Disney’s Aulani Resort in Hawaii. I’ve also enjoyed vacations on Carnival and Royal Caribbean Cruise Lines, as well as destinations across the United States as well. In my visits to Disney World I’ve enjoyed staying at a variety of the resorts, ranging from value to deluxe. I have attended some of the special events at Disney, including the EPCOT Flower and Garden Festival, the Wine and Harvest Fest at Epcot, the Candlelight Processional at Epcot, Mickey’s Not So Scary Halloween Party as well as Mickey’s Very Merry Christmas Party. 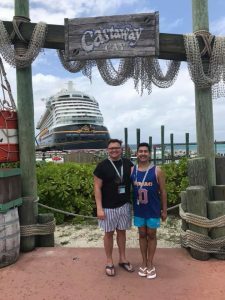 I have also had the pleasure of cruising on all four of Disney’s ships to both the Eastern and Western Caribbean, as well as Hawaiian cruise. I’m looking forward to the Panama Canal cruise with Disney in 2019. 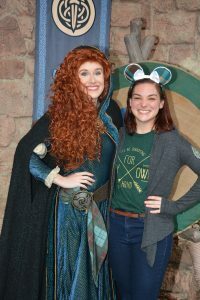 My love and knowledge of Disney, and just traveling in general, has been taken to the next level by helping others plan their dream vacation. I pride myself in being available to offer the best personalized service possible for your getaway. 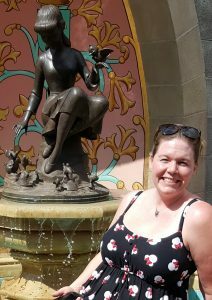 From answering questions, to price monitoring, customizing an itinerary, booking your dining, obtaining fast passes, reserving strollers/mobility devices, and adding extra pixie dust to your trip, I am here to do it all for you! If Disney isn’t on your list of destinations, not a problem. I’ve helped many happy clients experience wonderful cruises on Carnival, Royal and Norwegian Cruise Lines, as well as assist families in finding an all-inclusive resort to enjoy while on vacation. I’ve also helped several newlyweds find that extra special, one of a kind destination for their honeymoon as well. My services are free when you book your vacation with me, so contact me today to find out how I can help you plan your next Magical vacation! Hi! 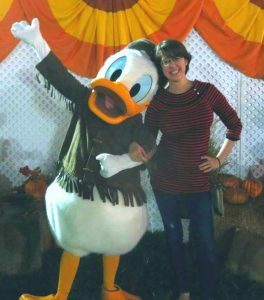 My name is Laura, and I am incredibly happy to be part of the Goofy Getaways team. I live in the Chicago area (Glenview) with my husband and dog. At a young age, I was exposed to the magic of Disneyland, and I have never looked back. My passion in life is planning vacations, and I’d love to use my expertise and industry knowledge to help you plan your next adventure. As for me, you can say that I have been bitten by the wanderlust bug. 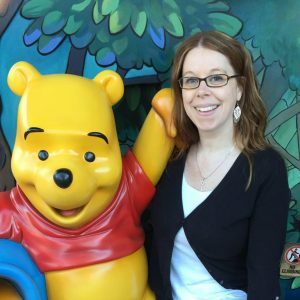 During the day, I’m an attorney, but at night and on the weekends, you can find me reading Disney blogs, watching travel videos, or perusing a new travel guide. I have traveled all over the United States (38 out of 50 states so far!) and around the world (most recently to Italy and Thailand & Cambodia – check that off my bucket list!). In the past five years, I have been to Disney World three times and am currently planning my first trip as an adult to Disneyland (October 2016) and my next trip to Disney World (February 2017). I have also been on 6 cruises to various destinations in the Western Hemisphere (including a partial transit of the Panama Canal and an unforgettable journey to Alaska). My name is Greg and I live in Holland, Michigan with my wife of 37 years, LeAna. We have two grown married children and two granddaughters, all of whom are Disney fanatics as well. We have traveled to Disneyworld over a dozen times and have experienced multiple resorts in each resort category – value, moderate and deluxe. Additionally, we have dined at over 40 table service restaurants over the years. I have worked at a large West Michigan furniture manufacturer for the past 25 years, serving as their Customer Service Manager for the past 10+ years. This experience has allowed me to continuously demonstrate that taking care of the customer is always the number one priority. This is certainly my philosophy when helping families plan their magical Disney trips as well. 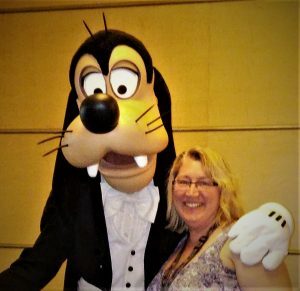 I am a true Disney geek and have always believed that “planning” Disney vacations is half the fun so I am happy to be part of the Goofy Getaways team. I can use this passion to make sure that your trip is full of unforgettable memories. Over the years I have experienced trips with small children, trips with adult children, trips without children, and multiple 3 generation trips so I have all the bases covered. My wife and I are also members of Disney Vacation Club which frequently allows us to be close to the latest Disney news. The first time I went to Walt Disney World was on our honeymoon in 1998, I was HOOKED!!! We have been back every year since, sometimes twice in a year. I decided I needed more of the magic and started working for the Disney stores in 2001. In 2013 we decided to follow our dream of living in Florida and working for the mouse, we were there for a year and loved it. During that year several different things contributed to our decision to move back to Otsego. We made the best decision for our family and now know we will go back someday but until then………. I have loved being a part of the Goofy Getaways team because of my love of Disney the magic it truly brings. I truly love getting to know my clients and helping them make all their vacation dreams come true. Now my hope is to help other families experience the magic by helping them plan their dream vacations. I am very excited to have this opportunity and hopefully will be talking to you soon. Please contact me anytime by email at tanya@goofygetaways.com or by phone at 269 686 6042! Hi! I’m Amanda. I live in Midland, MI. I am married to my wonderful husband Mike and we have two boys, Andrew and Harrison. 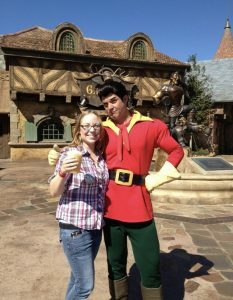 I met my husband at Walt Disney World when I was 18. We later honeymooned there and have been back many times. We love it! 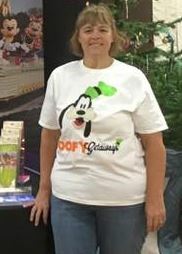 I’m excited to be a part of the Goofy Getaway’s fabulous team. I look forward to helping my clients make their dreams come true. – I would love to help plan your magical vacation! Hi my name is Amanda. I am an all around Disney lover! I have been to Disney over 100 times and I have stayed in a plethora of the resorts on Disney property. My favorite part of the Disney vacation is planning it before I go! I love making sure I get the best fastpasses and dining reservations for our family. I also had an amazing opportunity to work at Disney for a semester in college! I learned so much about how Disney expects their guests to feel when they are visiting the parks and resorts. I am so excited to be able to take those skills and my vast knowledge about Disney to plan amazing vacations for my clients. You can reach me at amandaw@goofygetaways.com! I grew up enjoying Disney but did not truly realize how amazing it was until I started experiencing Disney as an adult. In 2016, my best friend and I took a girls trip to Walt Disney World attached to a work trip and I realized that I needed way more Disney in my life. Since then, I’ve visited Disneyland for the first time in my life and been back to Walt Disney World more than 3 times with 2 more visits planned in the next 8 months. I am an annual passholder at WDW. One of my big passions is runDisney events. 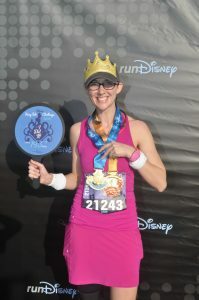 I completed my first runDisney Challenge (10k & half-marathon) in 2018 and immediately signed up for another. I have goals of completing the Dopey Challenge (5k, 10k, half marathon & full marathon) someday but can share insight about not only the logistics of a runDisney weekend but how to train safely and properly as I am a certified personal trainer and fitness instructor in my day job. I’ve attended Disney with groups of adults, just a pair, solo and as part of a large family group. I’ve tried such a variety of attractions with different people and personalities that I can help you decide which attractions and meals might work better for your trip. It’s important to know your family dynamics when you plan your dream Disney vacation and I can’t wait to help make sure everyone’s dreams come true during your trip. I am also a huge Harry Potter fan and have visited Universal Studios (Florida & Hollywood) and would love to help you plan this portion of your trip as well! My services are always FREE, so contact me for a no-pressure quote today. When you are ready, I can help with reservations, transportation, dining, park tickets and more. Let’s make magic! You can contact me at 269-532-2187 or amyfisher@goofygetaways.com. Hello! 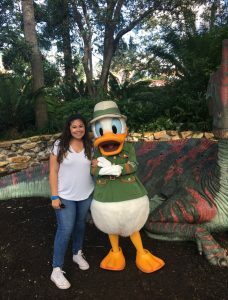 My name is Ashley and I am extastic to be a part of the Goofy Getaways team! My first visit to Disney World was at the age of three and I have been obsessed ever since! My family and I live in beautiful Williamsburg VA and make the journey to Florida every year to make memories that will last a lifetime. At the age of 3, we took my son to Disney World and he fell in love at first sight with Cinderella. After a meet and greet, he left with red lipstick all over his face! I firmly believe that magical moments happen when we don’t plan for it. We returned to Disney world for his 4th and 5th birthday to collect more Princess kisses. 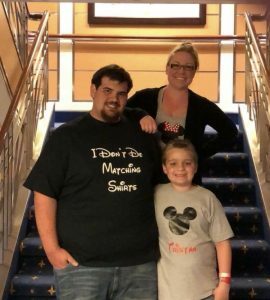 For his 6th birthday, my son asked if we could try a Disney Cruise. Since then, we have spent over 35 days on those magical Mickey blue and yellow boats! We most recently sailed on the 14 day Panama Canal cruise and it was such an incredible experience with memories that will last a lifetime! Whether by land or by sea, let’s make magical memories happen together! A very magical greeting to you! I am Brian and live in the Atlanta, GA area with my wife and three boys while working in educational consulting and sales as well as a travel specialist. I am grateful to have personally been to Walt Disney World over thirty times, have been to Disneyland three times, have experienced two Disney cruises, have eaten at 88 on-property restaurants, experienced both Disney water parks, hit the links at every Disney golf course, and have stayed at nine of the Disney resort hotels and many Disney Good Neighbor hotels. If you couldn’t guess, my family is a group of Mickey-maniacs. 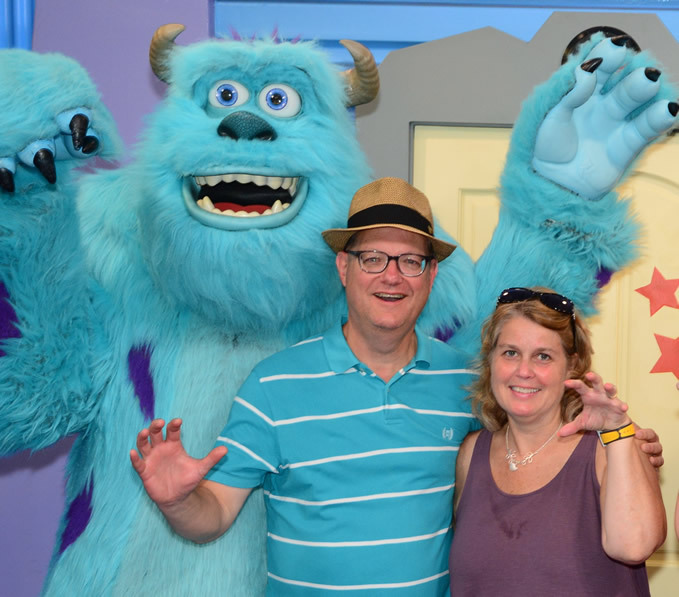 I have gone to Disney solo, only with my wife, and obviously as a family, and every time is the same – MAGICAL! WHY DO WE LOVE DISNEY? Well, I believe Disney is a great place for memory-making, family-time, as well as reality-relief. I want to help other individuals and families experience those same meaningful things year after year as well and continue creating those “forever moments” with loved-ones and friends as you get away from the hustle and bustle of life. Maybe you are Universal or SeaWorld fans or maybe just “cruise people,” or perhaps love all-inclusive Central American resorts, well, I can help you with those possibilities as well and much more AND MY SERVICES ARE FREE! 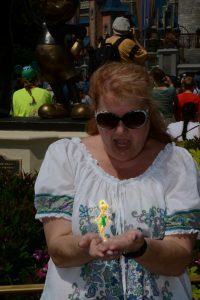 Besides Disney, I have been all over the USA as well as to Europe fourteen times, so if you have travel questions, I would love to be a help. With all that goes into planning a Disney vacation (hotels, tickets, fast-passes, restaurant reservations, transportation, special extras, etc. ), Universal or SeaWorld, a cruise or all-inclusive, my extensive travel experience could help make YOUR trip a RELAXING experience. I would truly be honored to help you with the planning of your next vacation, honeymoon, anniversary getaway, school trip, multi-generational or a reward-trip for your child who just accomplished something big. or 469-600-1973 for a no-obligation quote and allow me to take the hassle and stress out of your next getaway – and its FREE! Favorite Character – Mickey Mouse, of course! 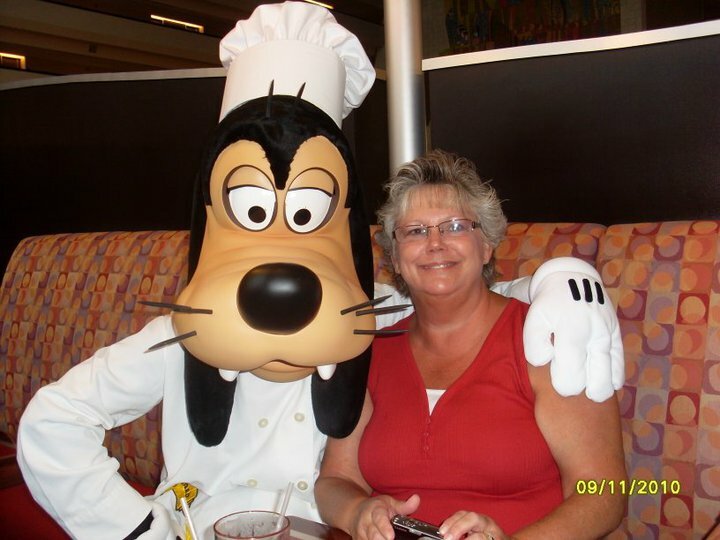 Hi, I’m Cheryl and I love being part of the Goofy Getaways team! I have always had a love for Disney and know you will too! I live in Columbus, Ohio with my husband, daughter and triplet teenage stepchildren! We all love Disney vacations so much that we took my daughter when she was just 5 months old! I first visited Walt Disney World when I was 3 years old and loved every second of it! Since then I have been back more than 20 times, experienced all 4 parks and several on site restaurants. I have been to Disneyland in California once, but plan to go back soon. I have also visited the Disney Hawaii resort and spa, Aulani, and experienced an amazing Disney Cruise! and you can also call me at 614-462-0890. I can’t wait to help you plan your next dream vacation! Hi everyone, my name is Chrissy and I love Virginia. Hi guys! 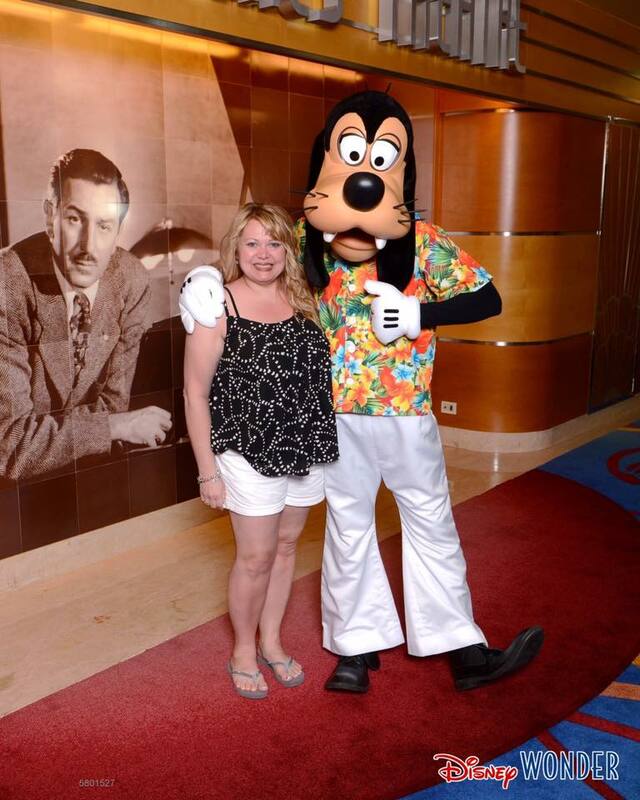 My name is Christiane and I am a proud member of the Goofy Getaways team. I am located right outside of New Orleans and I have been a Disney fan since I was little. My love for Disney started when I was a baby and got my favorite Minnie and Mickey blanket, which traveled with me everywhere. From that point on, Disney became a part of me from my school projects to my freelance artwork. My first trip to Disney World was my senior trip in high school and that was when I knew I wanted to work for Disney. During one of my college semesters, I was selected to participate in the Disney College Program, which allowed me to work for five magical months at the Contemporary Resort. Being a former cast member of Disney allows me to know the ins and outs of what makes a great Disney vacation! Hi my name is Gabby and I am a huge fan of everything Disney! I am from Bridgewater, New Jersey and I am so excited to be a part of the Goofy Getaways team. 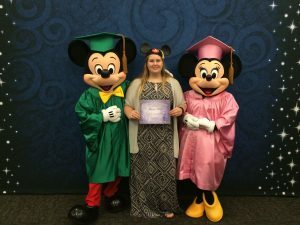 I have been to Disney World on vacation 6 times and I was fortunate enough for the great experience of working there for 6 months as part of the Disney College program! I worked in Magic Kingdom at Philhar Magic, Prince Charming’s Regal Carousel and Princess Fairytale Hall. My favorite thing about working there was making magic for the guests I’d love to continue that by making your vacation magical! I love planning Disney Vacations and I know how stressful it can be to organize. I can’t wait to use all of the things I learned to help you plan you next magical vacation! or at 908-285-6989 and we can start planning your next magical vacation! Hi! I’m Jason, a former Disney Cast Member (Twilight Zone Tower of Terror, anyone?) and current video editor. 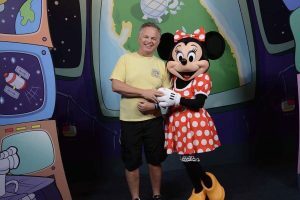 Along with my wife Julie, an elementary school teacher, we have spent many family vacations with Mickey and Minnie, exploring every square inch of the Walt Disney World Resort. We’ve visited at all different times of year, giving us experience with many different resorts, crowd levels, and special events. Looking for a romantic getaway? How about a full-blown, magic-filled family extravaganza? From rope drop to Extra Magic Hours, FastPass+ to the Disney Dining Plan, we have the experience and knowledge to make your trip one-of-a-kind. Whether we’re sharing our favorites with first-timers, or trading tips with seasoned Disney veterans, we look forward to getting know the interests and needs of our new clients, and helping you plan the magical Walt Disney World vacation of your dreams! If you’d like to learn more about booking a trip, just drop us an email at jason@goofygetaways.com. We’d love to share the pixie dust with your family! Hello! 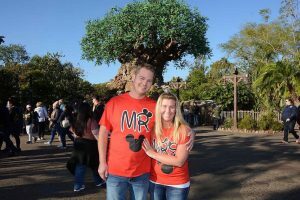 We are Jerrod and Brittany, and are very happy to be part of the Goofy Getaways team! We live in beautiful and sunny Southern California with our 2 children, PJ and Leo. We live about 30 minutes away from the Disneyland Resort where Jerrod worked as a Cast Member for over 10 years. In that time, he was fortunate to call Disney’s Grand Californian Hotel and Spa and the Disneyland Hotel my home. He worked primarily as a Guest Services Manager at the Front Desk/Guest Services, Bell/Valet and Housekeeping. I was also a VIP Coordinator, handling high profile arrivals to the Resort. I am proud to have served on the Disney VoluntEARS Leadership Council and be a graduate of the Disney University, Emerging Leaders program, Class of 2005. 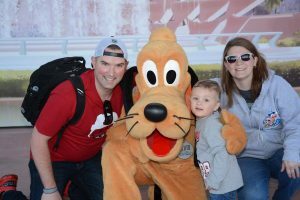 We took our first trip to Disney World while Jerrod was still a Cast Member, and we were hooked! 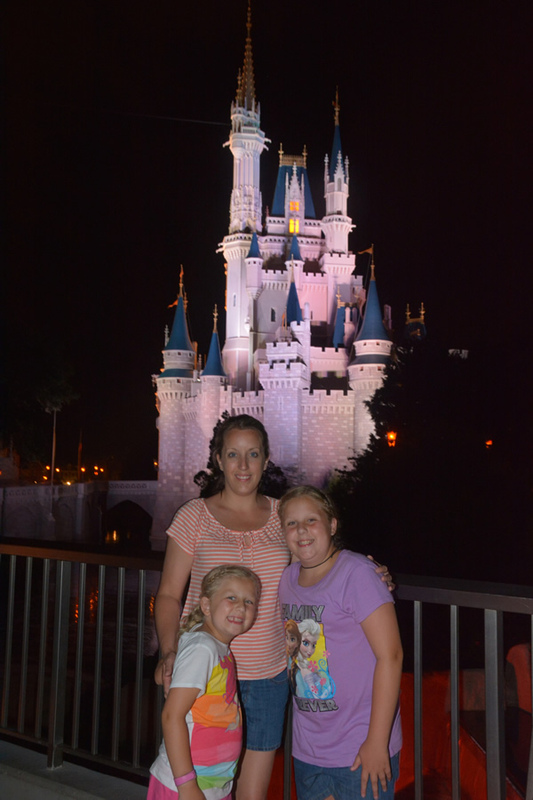 We are currently Disney Vacation Club Members and we visit the Walt Disney World Resort often for 10-12 days at a time. We have stayed at all levels of resorts; Value, Moderate and Deluxe. I can help you plan the right vacation for your family! Our trips to the Disneyland Resort are numerous and frequent. Our kids still cry when it’s time to go home, even though they know we will be back next weekend! We often plan trips around RunDisney events. We know what goes into planning for the athlete and their family! We are happy to help. We both have a love and knowledge of Disney that runs deep and is extensive. we would be honored if you allowed me to help you plan your families dream Disney vacation! We promise to guide you through the process and handle every bit of it as if we were booking and planning for our own family. And the best part, it’s FREE and we truly love to do it! or call/text at (951) 790-3628. The sooner we start planning, the better the trip. Let’s get started! I am so excited to be joining Goofy Getaways! Assisting my Clients in planning their Disney Vacations and experiencing the MAGIC of Disney is an amazing opportunity! I pledge to do my absolute best to help you have a fantastic experience so you grow to enjoy Disney as much as I do!! who share our love of all things Disney!! 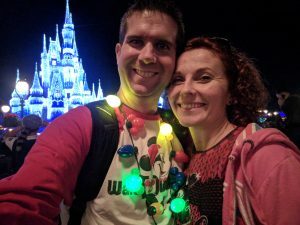 Amy and I actually went to Walt Disney World on our Honeymoon!! I retired as the High School Director of Guidance in 2013! I have remained active at the high school either by working in the Guidance Office or serving as a Substitute Teacher! I also teach Drivers Education! My hobbies include: Disney, Disney Pin Collecting (especially Sorcerer Mickey and Jiminy Cricket), Reading, Cooking, Sports and spending time with family and friends! 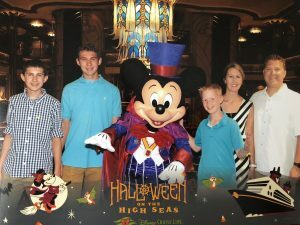 We have been to Walt Disney World more than 20 times, Disneyland twice and sailed on Disney Dream once! These experiences and the knowledge I have gained will definitely enable me to help my clients experience a truly MAGICAL DISNEY VACATION!! You can contact me at johnsloan@goofygetaways.com for help planning your next vacation! Hey everyone! Our names are John and Mary Broene! We live in Allendale, Michigan and have a 6 yr old son Braidyn. We enjoying going on family vacations to Walt Disney World and try to make it there at least one a year. John has been to Walt Disney World over 20 times and has stayed at several different resorts. John is an owner of a BBQ catering business and has been open for 8 years. Mary works for Spectrum Health in Grand Rapids and has worked there for about 2 years. We love helping plan vacations and enjoy all thing Disney! We would love to help you plan your Disney vacation with out FREE sevice. Lets start planning the best vacation ever! or call me at (630) 730-6590! I look forward to working with you! I remember taking vacations to Disney World and Disneyland as a kid and I couldn’t wait to take my own kids and experience the magic through their eyes. We have been to Disney World 10 times in the last 10 years, and we recently became Annual Passholders! I have stayed at many Disney resorts, from the All Stars and Pop Century, to a 2-bedroom villa at Bay Lake Tower, with many in between. 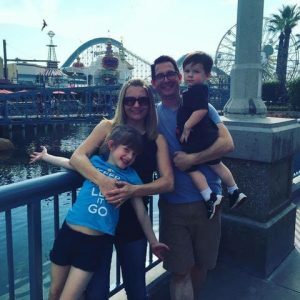 I have been on every ride and experienced every attraction and have eaten at many of the awesome restaurants, so I have plenty of tips to share about my favorite Disney experiences! I recently went on my first Disney cruise and have cruised on Royal Caribbean and Carnival, so I can help with cruise vacations as well. I also book Universal and All-Inclusive resorts. Planning a Disney vacation can be a little overwhelming, so let me help! From a fun family vacation to a romantic cruise for two (and everything in between) I can do the work for you. My services are always FREE, so contact me for a no-pressure quote today. When you are ready, I can help with reservations, transportation, dining, park tickets and more. Let’s start planning your magical vacation today! You can contact me at 269-217-8369 or kelly@goofygetaways.com. Hey there, hi there, ho there! 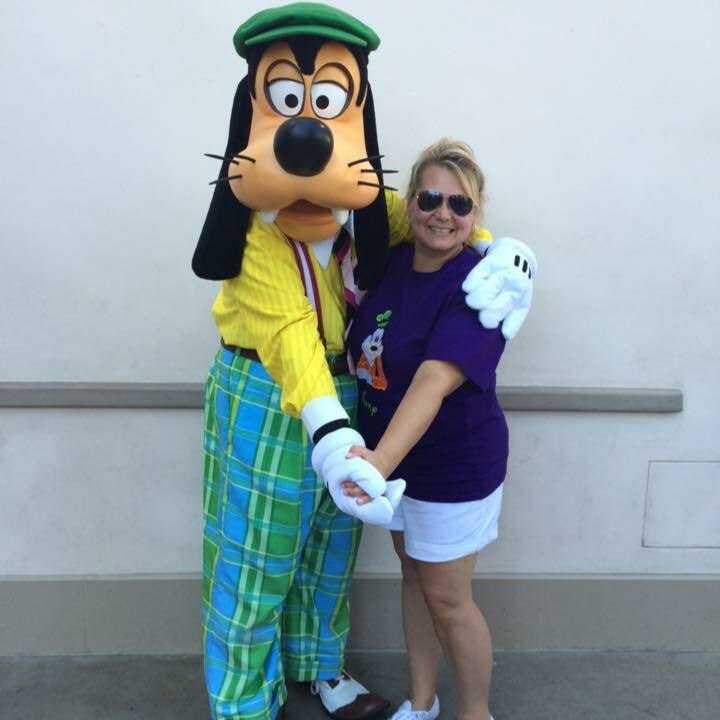 My name is Kristin and I am thrilled to be part of the Goofy Getaways team! I live in the greater Indianapolis area with my husband of 13 years and our two princesses, aged 8 & 5. While I love being the accounting manager at a local civil litigation law firm, I’ve always had a hobby of researching, mapping, and budgeting all the details of dream vacations for myself, my family and friends. I thrive on preparation and getting the details aligned JUST right to achieve the bliss of a “no worries” magical vacation. I would love the opportunity to help you to make memories to last a lifetime! Please contact me for a FREE, NO OBLIGATION quote on the vacation you’ve been dreaming of! 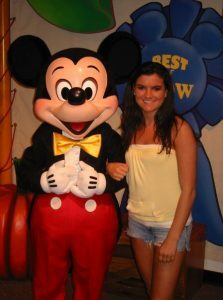 You can find me on Facebook, email me at KristinW@GoofyGetaways.com or call me direct at (317) 727-2458. My name is Liz. I live in Indiana. During the day, I am a teacher and a mother of 1. I enjoy Blackhawks and Notre Dame hockey. I was born into a Disney family. My grandparents would take me on vacations to Disney World. I have sailed on the Disney Cruise Line as well. I am always looking to plan the next getaway with Disney! Hi! 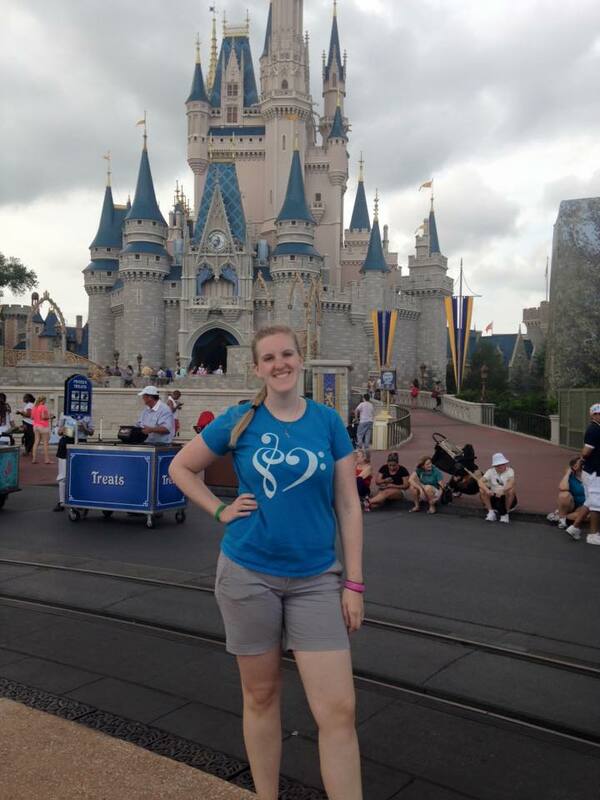 My name is Meghan and I love all things Disney! I live in Northern, New Jersey, with my husband, new baby boy, and black lab, Luna! I am very blessed, and have been to Disney World 10 times, Disneyland, and even Disneyland Paris! I am an English as a Second Language teacher in an Elementary school, and am bilingual in Spanish. 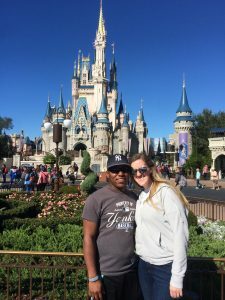 I recently traveled to Walt Disney World with my husband, and my whole family! It was so much fun to be together again, at the Happiest Place on Earth! I look forward to helping make your dreams come true. 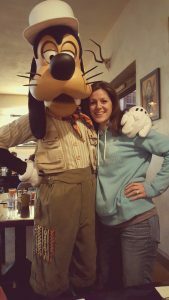 My name is Morgan and I’m excited to be a new member of the Goofy Getaways team! I’ve been visiting Walt Disney World annually since I was two years old, and can’t wait to help you plan your magical vacation! 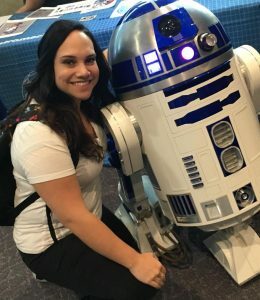 I recognize that not everyone experiences Disney, or even vacations, the same way, so it’s important to me that we tailor the best experience for YOU! I’m happy to work with you on solo trips, large family gatherings, families with special needs or abilities, or even a return visit! Hi! 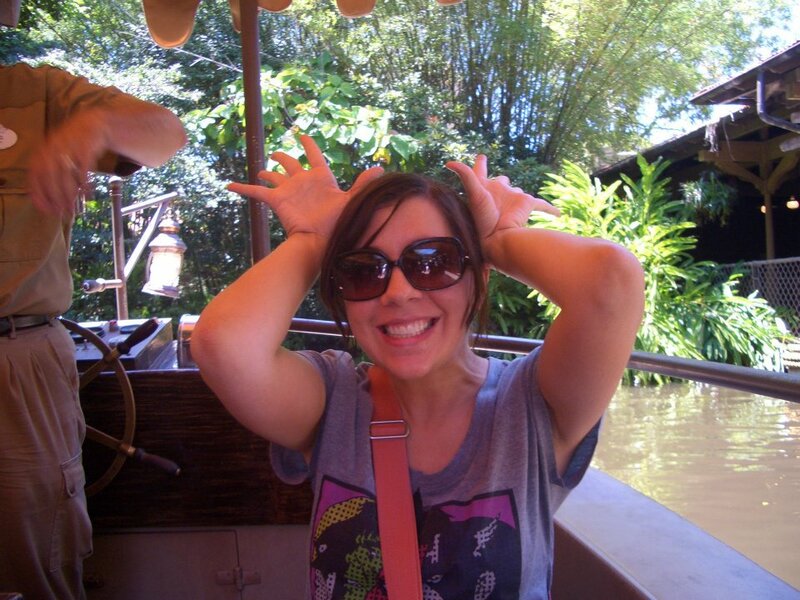 I’m Sara and I am very excited to be a Goofy Getaways agent! 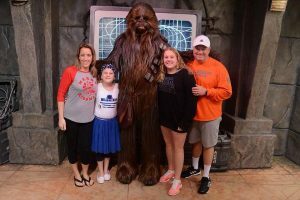 I finally experienced all the magic that Disney World has to offer at the age of 46. I LOVED every minute of it. As a person that loves to travel, joining Goofy Getaways was an easy decision to make. I have traveled to many parts of the United States, to Mexico and have gone on a Caribbean cruise. Another thing I love is being a Special Education Teacher. By joining Goofy Getaways I am combining the two things that I love 1) traveling and 2) helping people. I cannot wait to help people plan their dream vacation. So when you’re looking for a trip to Disney World, going on a cruise or staying at an all-inclusive resort please feel free to contact me. Let me do your footwork so you don’t need a vacation from planning your vacation! I look forward to working with you. Hello! Welcome to Goofy Getaways. My name is Sara and I can’t wait to help you plan the perfect vacation. I’m a Disney enthusiast who’s passionate about travel planning. Disney destinations are my first choice when it’s time to take a break from life, and it’s my pleasure to share my Disney expertise with my clients to make their vacation dreams come true. My goal is to save you time and money while providing first class service. Planning a vacation can be time consuming and stressful. Allow me to build a custom itinerary for your family, book dining and fast passes, or help you choose the perfect cruise. Feel free to use a hands-on approach or leave it to me.I look forward to talking Disney with you. Contact me today for a free, no obligation quote. And remember, if you can dream it you can do it.